Incorporating landscaping rocks into your landscaping design adds pure aesthetic beauty to your entire landscape theme. For a truly beautiful landscape you need to have layers in your land design, and landscaping rocks are the perfect solution to obtain a balanced and beautiful landscape view. Landscaping rocks provide your yard with depth and contour that you otherwise could not create. Utilizing a variety of landscape rocks, you can build mounds and valleys to strategically place ornamental designs. 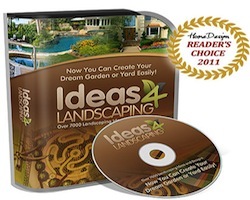 You can alter the slope of your yard by creating lower spots to place foliage in front and then build up higher ones behind to show off a tiered landscape. With lanscpaing rocks, this is quite an easy process. Consider several different landscaping ideas with the introduction of landscaping rocks to achieve the layout, depth and design you desire. Because rocks and stones come in a wide range of sizes and colors, the potential for creating layers for your perfect theme are endless. In most cases you can mix several different colors and shapes to create a one-of-a-kind unique and interesting look. As with most of our landscaping services, we like to create artisitic and unique designs. Implementing landscape rocks, stones and pavers is one element we enjoy bringing to your property for that artistic flair. Once you have settled on a rock design theme and want to explore more unique ideas, visit our Landscape Lighting page to see more ways we can enhance your property with outdoor lighting and lampscaping.